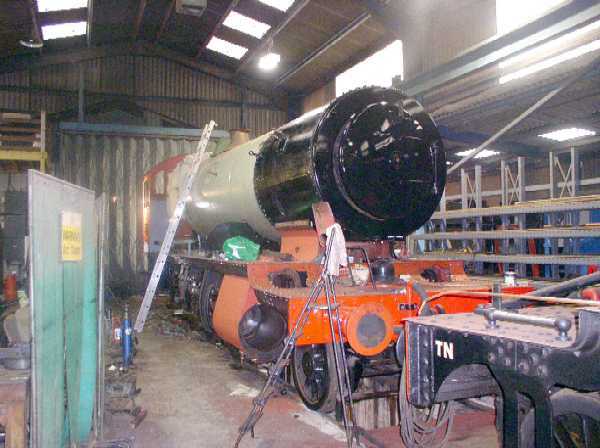 The workshop staff and volunteer team at Buckfastleigh are pressing ahead with the remaining work on GWR 2-8-0 3803 with a view to returning it to traffic as soon as possible after the start of the 2006 season. Mid-May is the likely target. The boiler having been returned to the frames after overhaul at Crewe recently, is in an advanced stage of having its cladding fitted. All the boiler lagging is on and the barrel has been clad. 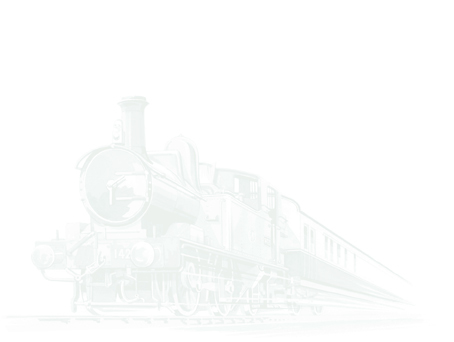 Firebox cladding is being manufactured today and will be fitted tomorrow. The smokebox door and door ring have now received a first coat of topcoat black. A safety valve bonnet has also come in to land on the boiler. Mechanical work is progressing with the vaccuum pump now having been fitted and aligned.. In the cab the backhead cladding has been fitted and fittings and pipework are appearing. 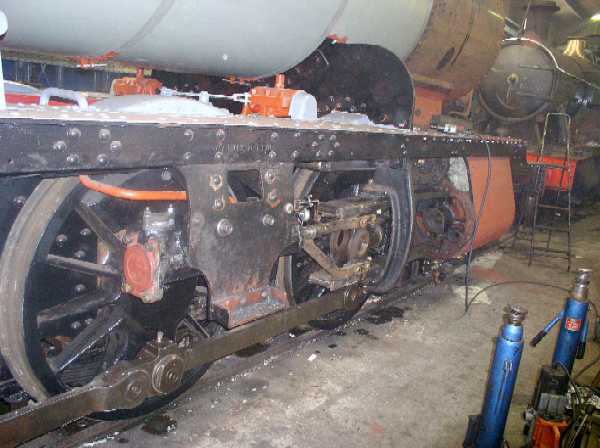 The connecting rods, which have been on loan to 4936 Kinlet Hall for the last few years, should be returned next week and will be fitted almost immediately.